Show your Amtrak ticket and score money-saving discounts around the American Riviera. Take Amtrak to the American Riviera and find a host of savings around town, when you show your train ticket. HOLDING ONTO A TRAIN TICKET? You might, if you have a paper version, and if you're a scrapbooker or you like to clip memories of various travels to a toteboard or the front of the fridge. But even if you don't hold onto paper memories, or even if you prefer to keep your various tickets on your phone, e-style, there is a fine reason to keep your train ticket near, should you take the rails to Santa Barbara. 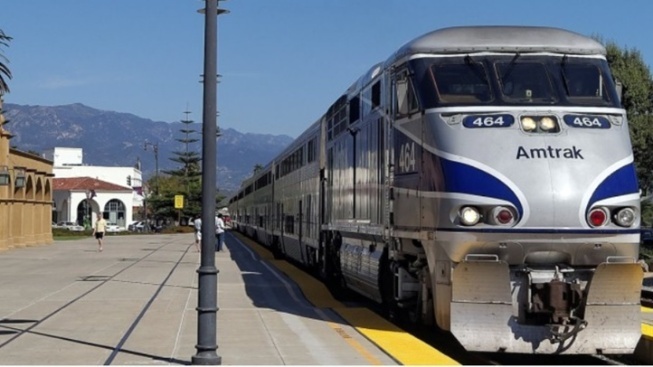 For here's the deal: Santa Barbara Car Free, a discount-laden program that encourages visitors to see the city sans wheels, is encouraging Amtrak-taking travelers to show their train ticket around town for all sorts of cash-shaving-off delights. This tempting program is on through the end of the year, as in Dec. 31, 2018, so, nope, you don't have to hop the next Amtrak heading for the American Riviera. But dally not, for spring and summer 'round the city couldn't be more all-out pleasant. Yes. All-out pleasant, and we dare anyone to prove otherwise (our thesis shall hold strong). HOW THE PROGRAM WORKS? Show your "traditional paper, e-ticket, or mobile device" to a number of businesses around Santa Barbara and score real savings. Cool deals include 20% off at Best Western Plus Pepper Tree, plus a "hello there" bottle of sparkling wine when you get there, and there's a pick-up/drop-off situation at the train station, too (comp, of course). There's also a 10% offer from the Santa Barbara Sailing Center on public sailing cruises. The list of spots around town, from hotels to attractions to tours, is a long one, and if you do Amtrak it in, you'll probably want to figure out alllll the stuff you want to get done, while saving money, while there (yes, we drew out the word "all" in that particular way to fully convey the plentiful choices). Now. Getting up on the info? Reading all you need to know? Loving upon the SB in all of its red-tiled, wine-lovely, flower-soft glory? A fine idea. Start now.